Ready to indulge this January? 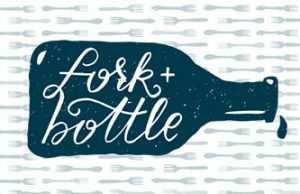 Forget those New Year’s resolutions and join us for the January installment of our ongoing Fork + Bottle Dinner series. Since 21c is kicking off 2015 indulgently, we thought a pork-themed dinner was definitely in order. Chef Jared Bennett has been hard at work creating a sinfully delicious menu you won’t want to pass up. Menu will be offered nightly along with beverage pairings to quench your thirst.